“There is no majority in the coalition for the bill," says its author, ex-minister Benny Begin. The government is scrapping a bill for implementing the Prawer Plan for regulating Bedouin land ownership in the Negev, former minister Benny Begin said Thursday. 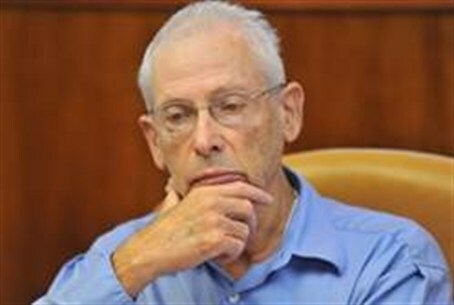 Begin, who was tasked with implementing the Prawer Plan, said he had recommended to Prime Minister Binyamin Netanyahu to "end the debate on the law" in parliament. "The prime minister accepted this proposal," he said at a Tel Aviv news conference, days after it emerged that the governing coalition was divided on the proposed legislation. The plan gives Negev Bedouin 180,000 dunams (45,000 acres) of state land for free, additionally granting them "compensation" for the state land many Bedouin are currently squatting on. Arab and left-wing opposition to the bill focuses on it moving 30,000-40,000 Bedouins from illegal outposts and villages, and demolishing 40 illegal settlements. The bill passed a preliminary ministerial vote in January. It also faced intense objection from nationalist MKs, who said the compensation offered in land and money was too generous. After a heated debate this week of the parliamentary Interior Committee, Coalition Chairman Yariv Levin of Likud said he would not pass the Prawer Plan into law. Begin rejected the notion that a series of violent demonstrations against the plan forced the about-turn. “There is no majority in the coalition for the bill," he said. Orit Struk, an MK for the Jewish Home, commended the decision to strike down the bill, which she described as "wrong and unjust". Begin's move proved that "correct political actions can change past mistakes," she said in a statement. Radical Arab MK Mohammed Barakeh of Hadash also welcomed the move, but warned of "excessive optimism" since the plan was "still on in essence" and the "struggle for our people in the Negev must continue." About 260,000 Bedouin live in Israel, mostly in and around the Negev in the arid south. Members of this minority regularly settle on land they do not own, and then violently refuse to evacuate it. The Prawer Plan would have offered some of the the Bedouin generous compensation for land they had grabbed, and relocated them to communities that could receive proper services from the state. The Bedouin leadership refused to accept the plan, which they claimed violates their rights. According to nationalists, this is because the Bedouin know that they have more to gain by continuing to grab land by force.